In 2014, approximately 5.2 million Americans reported suffering from Alzheimer’s disease. This figure is set to increase in coming years as the population ages. According to the Alzheimer’s Association, these statistics include 200,000 adults under the age of 65, who reported experiencing early-onset Alzheimer’s. Fortunately, there are things you can be doing to protect your cognitive function and memory. 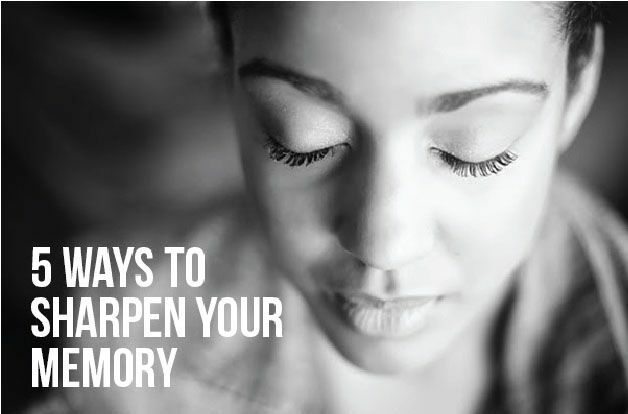 Here are some tips to keep your mind sharp for the years to come. Think you can multitask? Think again. According to neuroscientist Earl Miller, a Picower professor of neuroscience at MIT, the human brain actually cannot focus on more than one thing at a time.2 Miller says, “What we can do, is shift our focus from one thing to the next with astonishing speed.” Because our brains were designed to focus on one thing at a time, trying to “multi-task” for extended periods of time is not conducive to productivity. TIP: Make a list of prioritized items and only focus on one at a time. Think of your computer on a busy day; you have multiple browser windows open, with three applications running, all the while downloading the latest podcast or episode of your favorite show. How does your computer perform? …right. Get rid of the clutter to free up space for your brain to work with more focus and increased productivity! TIP: Take 15 minutes at lunch everyday to practice breathing exercises. Stress can also play a role in impairing cognitive health. While the most dangerous threats in life are invisible (think oxidative stress, toxins, and microbes), we are constantly bombarded by other factors at work and home that are still perceived by our brains as harmful, resulting in increased production of stress hormones. Sustained elevations in adrenaline and cortisol levels can lead to poor sleep, a compromised immune system, and impaired brain function. In addition, consuming sugar triggers a number of reactions in your body as it works to normalize blood sugar levels. Regular sugar consumption can lead to chronic inflammation, disrupting your internal system and impairing your cognitive ability. Humans have used natural therapies for hundreds, even thousands of years, to restore their cognitive and mental function. Turmeric – Turmeric contains an active, anti-inflammatory component called curcumin. Curcumin has hundreds of documented studies that show benefit for mental acuity, prevention of dementia, reduction of inflammation, and even relief of depressive conditions. Acumin Turmeric Complex- – Since curcuminoids in turmeric naturally have low bioavailability, a good option for increasing the benefit of turmeric is Acumin Turmeric Complex. This product is a standardized to 45-50% curcuminoids with 5-6 times greater bioavailability than standard turmeric and contains a full complex of other beneficial turmeric root nutrients including polysaccharides, turmerin protein, turmerone oil, and dietary fiber. Ginkgo Biloba – Benefits of ginkgo biloba include increased blood flow to the brain (in addition to other vital organs), protection of nerve tissues, and increased brain wave activity. Clinical studies have also demonstrated enhanced mood and improved cognitive function.